Fall is one of the best times for home maintenance projects because the season’s milder temperatures make it enjoyable to work outside. Since you will soon be spending more time indoors, now is the time to make sure you have a safe and comfortable living environment. Create a fall home maintenance checklist and complete these items to help get your home ready for winter. This is an important task that should not be overlooked, hence its inclusion in our fall home maintenance checklist. Too many leaves left lying on the lawn throughout the winter season can have a negative impact on spring grass growth. Use a lightweight rake with handheld leaf-scoops to bag the leaves quickly or a leaf blower to make the work easier. Always wear safety work gloves to protect your hands. If you have trees on your lot, take some time to trim off the dead branches. This is one of the most important tasks in our fall home maintenance checklist. Apart from allowing you to spot indications of poor health, pruning also makes it easier to identify dead and dying branches that should be removed. This reduces the likelihood of limbs falling during high winds and helps keep your trees healthy, preventing tree loss. Once you’re done trimming your trees and deadheading your perennials, you can add mulch to your flower beds. An extra coat of mulch will help protect your plants from the colder winter weather and increase their chances of survival. Fortunately, you can create your own mulch by shredding and mulching autumn’s falling leaves. 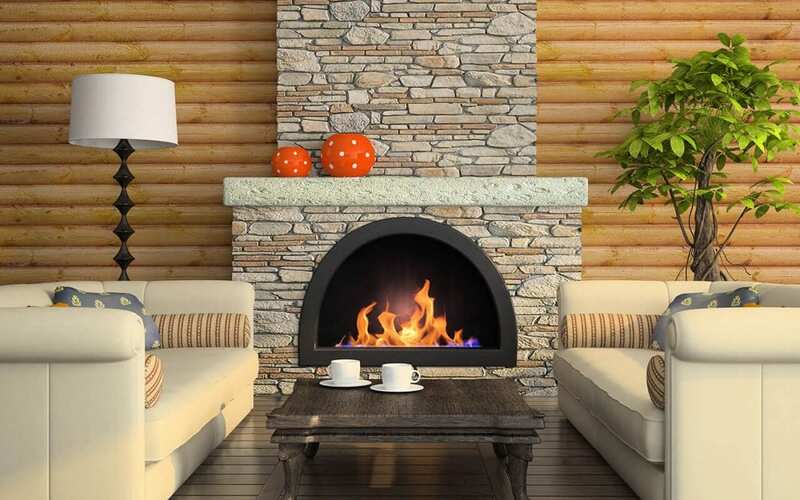 Apart from the fact that heat is an essential safety measure during winter, relaxing by the fireplace is a favorite winter pastime. But unless you perform proper heating system maintenance in the fall, it may not be ready when you want to fire it up for the first time. With cooler temperatures approaching, it’s time to have your furnace and chimney inspected. By doing this task now, you can handle any existing problems before you’re in need of heat. Besides performing more efficiently than a poorly serviced unit, a well-maintained system is less likely to malfunction due to dirty flues, creosote buildup, and other hidden dangers. Aside from cleaning your heating system, changing the furnace filter, checking the thermostat, and inspecting the pilot light, a professional will also open the heating vents to check for optimum airflow so you’ll know that your unit is in good working order well before you need to rely on it. During the fall it’s common for leaves, pine needles, and twigs to accumulate in your gutters. It also starts raining more in fall and winter than in summer. You want that rain to be able to flow through the gutters easily, so its time to get up on a ladder and clean out your gutters. Cleaning the gutters periodically will help them last longer and better protect your home from moisture. Cal Home Inspection serves Sacramento and the surrounding areas with home inspection services. Contact us to discuss your inspection needs to book an appointment.